Joe Stiles held numerous elected positions at the chapter, state, and Southern States levels. 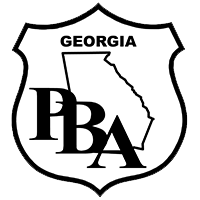 In 2000 he was hired as Executive Director for PBA of Georgia. Shortly after being hired he was appointed a voting member on POST Council by Governor Barnes. He was re-appointed to that position by Governor Perdue. During his 26 years with the Macon Police Department, Joe held various assignments in jail, patrol, detectives, internal affairs, administration, and support services. He earned more than 3,000 hours of in-service training, a bachelor’s degree from Brenau College and a master’s degree from Columbus State University. He is a graduate of the FBI National Academy and the Georgia Law Enforcement Command College. Joe is married to the former Jane Anderson of Stockbridge. She is an elementary school teacher. They have two married sons (and daughters-in-law), James (Alley) and Donald (Tamie) and four granddaughters.